You will fall in love with the glamorous look of this Deanna nightstand. 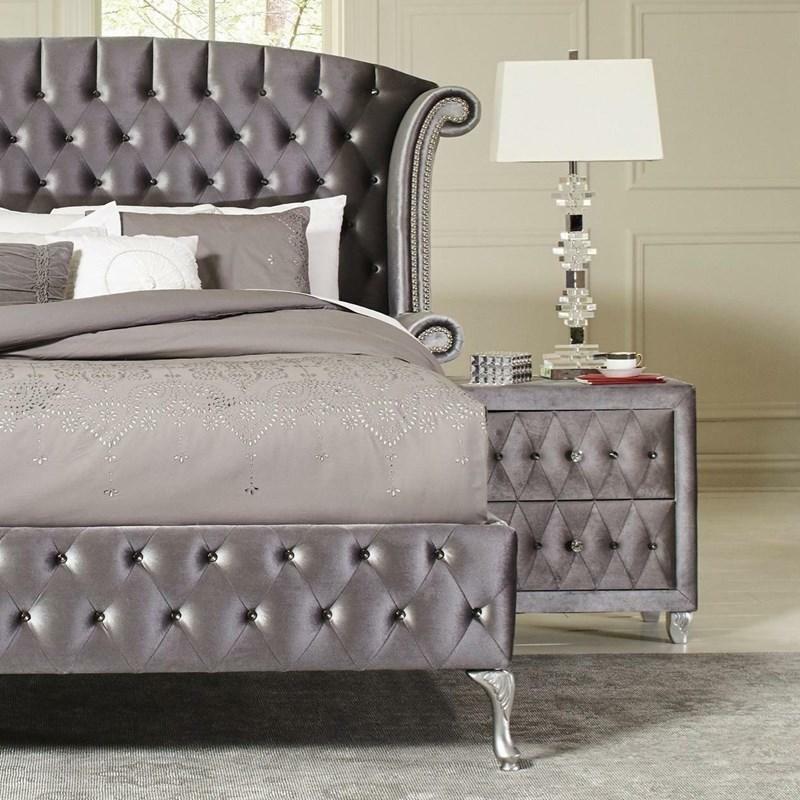 It is upholstered in grey velvet upholstery bringing elegance and convenient storage to any bedroom. 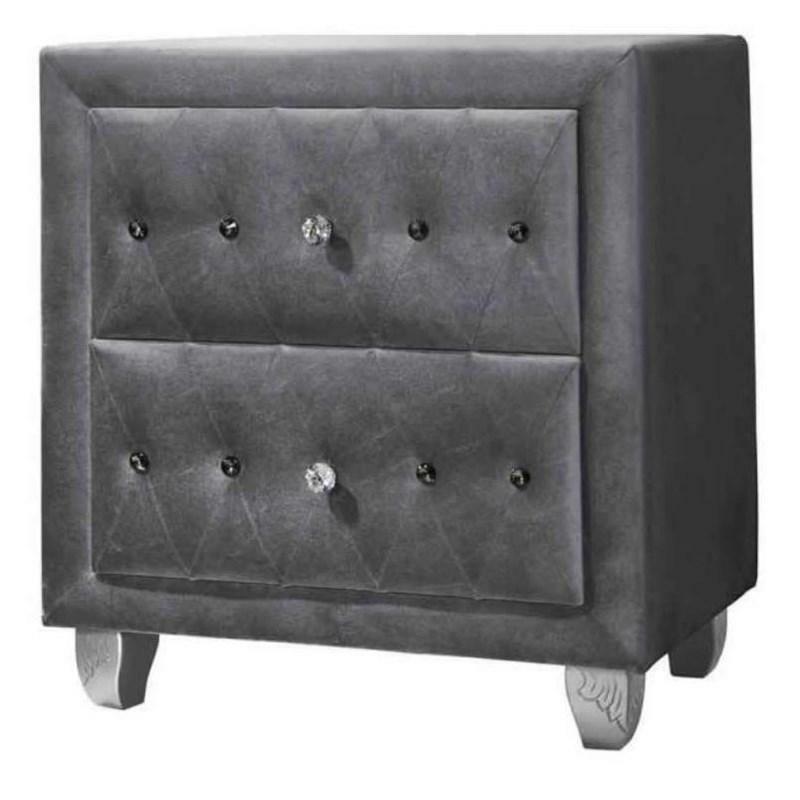 It features two storage drawers adorned with facetted buttons in special opalescent grey sparkle and shine. It stands on carved wood legs in a metallic silver finish. It has stainless steel and diamond knob hardware. Volume 8.67 cu. ft. / 0.25 cu. m.